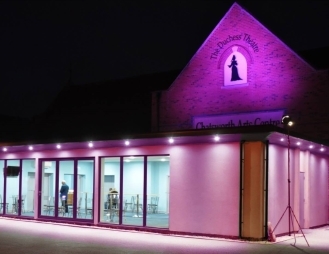 The Chatsworth Arts Centre is a community multi-purpose arts venue situated in the heart of Long Eaton, located close to Nottingham and Derby. Totally organized and run by volunteers, the Centre, which is a registered charity, is Long Eaton’s premier live arts and entertainment facility. 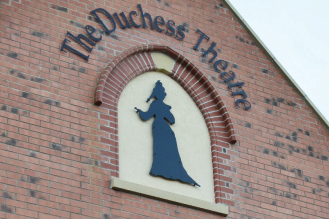 It is home to the 180 tiered seating Duchess Theatre, with attendant facilities, and public spaces. A recently added lounge with a bar and coffee bar, offering pre and post-performance refreshments enhances the theatrical experience for our audiences. Since its original opening in the 1980s, our theatre has played host to a huge variety of events, providing the opportunity for local performers and groups to captivate the attending audiences. Our aim is to facilitate the highest quality entertainment and promote community activities. We have experienced many difficulties, including a devastating fire, but they have all been overcome, allowing us to provide an Arts Centre of the highest quality. This has been achieved by the dedicated and unstinting support of volunteer members, together with assistance from local businesses and organizations, the Local Council and County Council, our performing groups, and anonymous ‘friends’. We are proud of our achievements and offer our grateful thanks to everyone associated with the Centre. Discover more about the history of the Chatsworth Arts Centre and the Duchess Theatre at Our History.